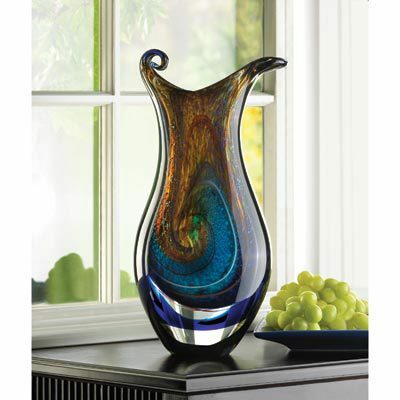 GALAXY ART GLASS VASE home decor, jewelry, decor, decorations, electronics, fountains, floor mats, art glass, vases, garden essentials, fireplace screens. Decorative purposes only. Material(s): GLASS. Weight 14 pounds. Dimensions 8" x 4.75" x 15.5".